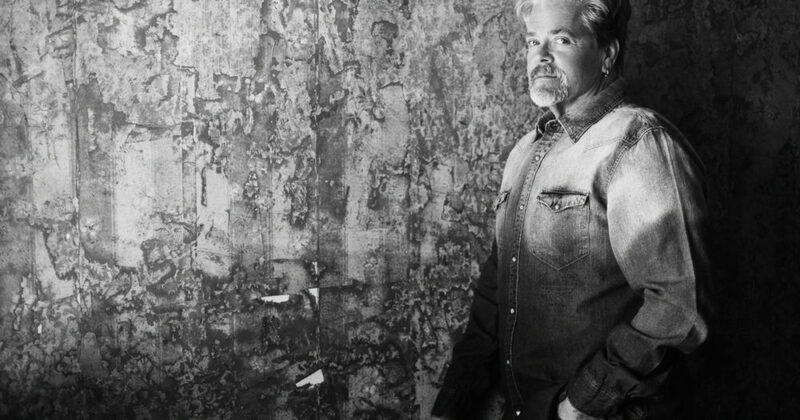 John Cowan, also known as the Voice of Newgrass, has been singing his heart out for thirty-five years, and his soaring vocals have only improved with time. A true innovator, John applies his powerful pipes to genres from country, bluegrass, and gospel to soul, jazz, and rock-and-roll – often within the space of a single concert. His ability to move fluidly through multiple styles, and carry mesmerized audiences on the journey with him, has set him apart as one of the most loved and admired vocal artists of his generation, not just by fans and critics but among fellow musicians as well. Cowan’s rise to fame began in 1974 when he auditioned as the bassist for the then up-and-coming New Grass Revival. Needless to say, John was offered the gig, but it wasn’t until he’d accepted the job that the shy 22-year-old casually mentioned that he could sing. With his distinctive, rock-tinged tenor vocal and heart-thumping electric bass, John, along with fellow New Grass Revival band mates Sam Bush, Courtney Johnson, and Curtis Burch, and later Béla Fleck and Pat Flynn, introduced a new generation of music fans to an explosive, experimental and ultimately, eponymous brand of bluegrass. The “newgrass” sound spawned popular jam bands such as Leftover Salmon and Yonder Mountain String Band in addition to shaping the sensibilities of country megastars Garth Brooks, the Dixie Chicks, the Zac Brown Band, and Darius Rucker. After New Grass Revival disbanded in 1990, John went on to record a series of critically acclaimed solo albums in addition to laying down guest bass and vocal parts on some 120 recordings for artists including Steve Earle, Béla Fleck, Alison Krauss, and John Prine. A few years later, John teamed up with Rusty Young of Poco, Bill Lloyd of Foster & Lloyd, and Pat Simmons of the Doobie Brothers in The Sky Kings, a widely successful country rock band. John’s newfound alliance with Pat Simmons gained him the role of bassist for the Doobie Brothers from 1992 through 1995, as well as a songwriting credit for “Can’t Stand to Lose” on the Doobie Brothers 2000 release Sibling Rivalry. The John Cowan Band, featuring some of acoustic music’s finest players, has been a force to be reckoned with these fifteen years – and counting. John is a fixture and a favorite at major festivals like the Telluride Bluegrass Festival in Colorado and Wilkesboro, North Carolina’s “traditional-plus” MerleFest. Stints in his band have helped launch the careers of Noam Pikelny (Punch Brothers), Luke Bulla (Lyle Lovett), and Scott Vestal, among others. The band’s current lineup features long-time collaborator and outstanding flatpick guitarist Jeff Autry, renowned and in-demand fiddler Shad Cobb, and fellow Doobie Brother, Ed Toth, on drums. John again found himself the bassist of the Doobie Brothers in 2010, and currently tours around the world with the Doobies, laying down the low notes and singing the high ones as they perform various hits.